‘The Art of Singapore’ by Ang Hao Sai went home with the top prize at the third Singapore Heritage Short Film competition on 8 Sep 2016. 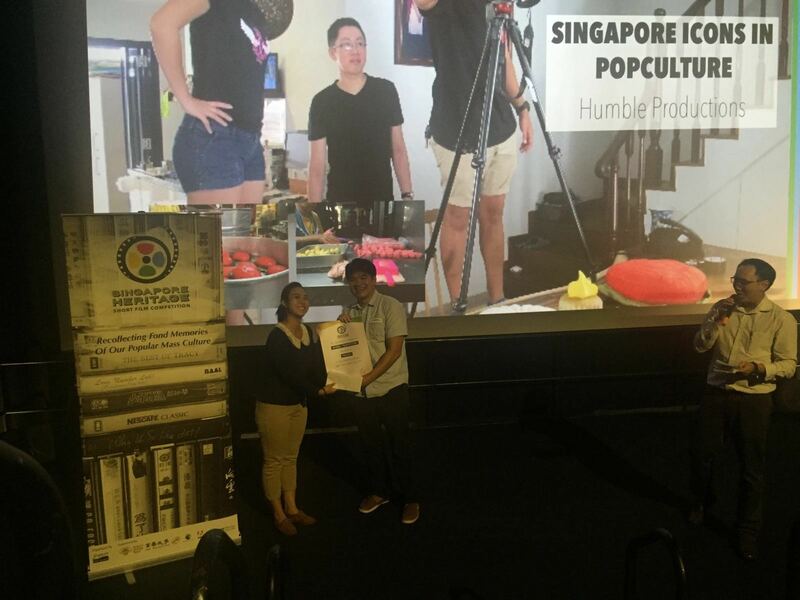 The awards were given out at the Projector where the finalists were screened. 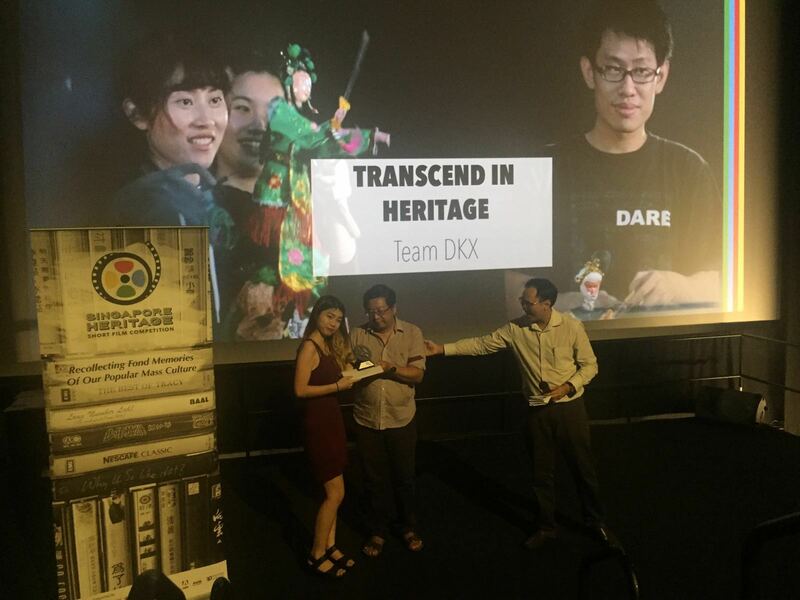 The winners were decided upon by an independent panel, consisting of heritage experts, AP Lai Chee Kien, established filmmaker, Eva Tang, and film producer, Juan Foo. The winning short films will be compiled into a travelling showcase, which can be screened at the physical space of Clan Associations, Clubs and Societies that are featured in the films. 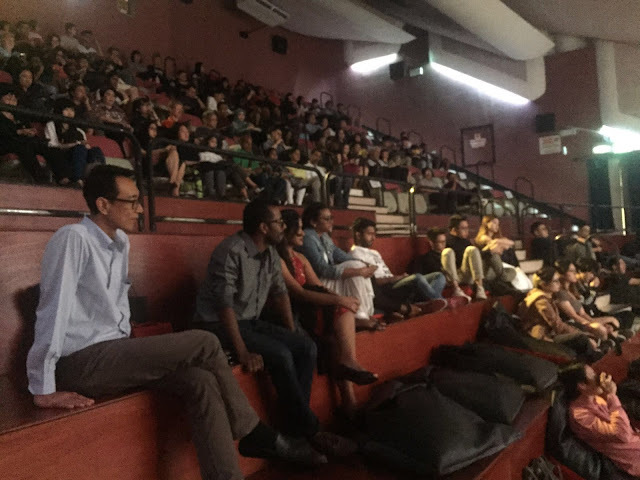 Here are some snapshots of the event! 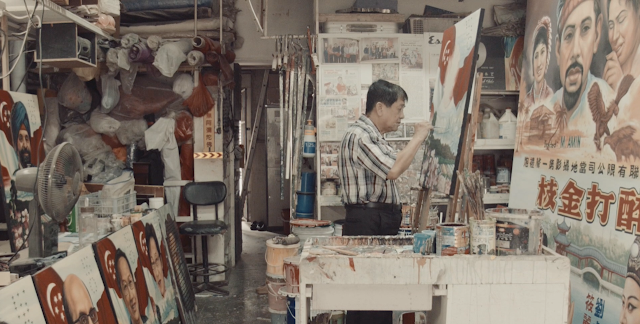 The documentary explores the life of Mr Ang Hao Sai, the last movie poster painter in Singapore. 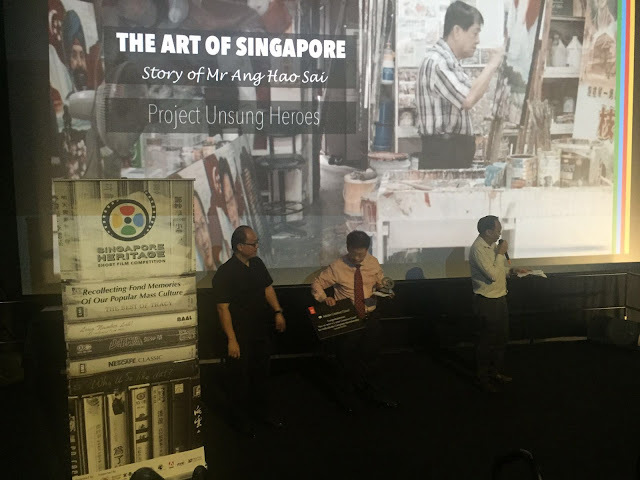 We trace his journey as an artist and a pioneer, delving into his work – a tribute to the history of Singapore that captures poignant moments. 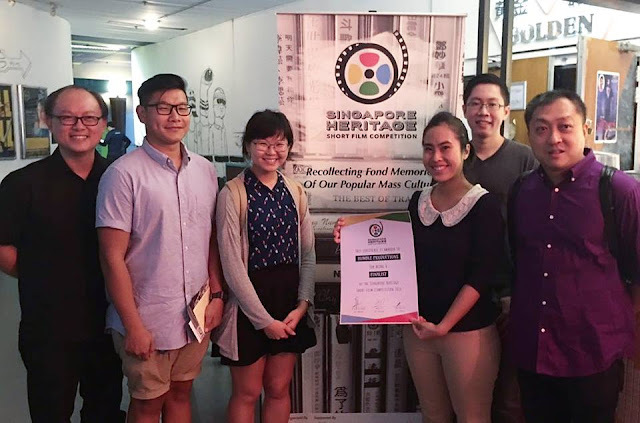 We will embark on a series of travelling showcases to libraries, galleries, community clubs, etc, to be screened free of charge, so that more people are able to watch these films in public spaces, and experience Singapore heritage in a communal setting. 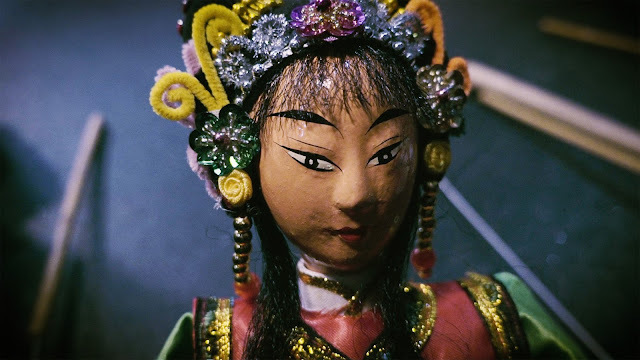 This documentary takes us inside the world of a few Chinese shadow puppetery enthusiasts, Benjamin Ho (Founder of Paper Monkey Theatre) and his crew, as they embark on a journey to revive this dying art form. 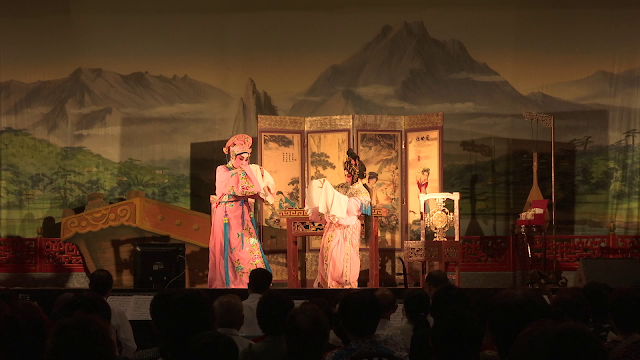 Semi-practitioner Mdm Lee Swee Har recollects the good old days of Chinese Opera in Singapore and explains what drove it to its current state. 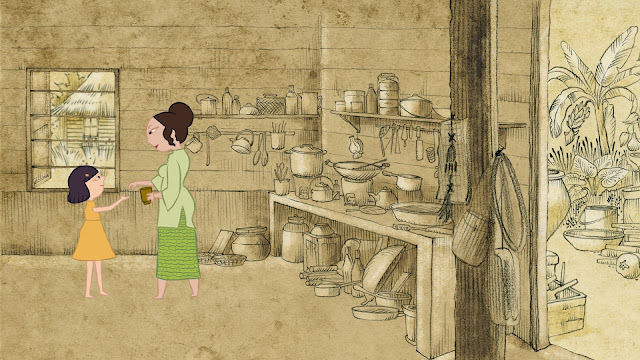 Do you have any memory trigger? What happens when it fails you? A man tries to get his cassette tapes and recorder to work. Recalling how people used to make and exchange mix tapes. 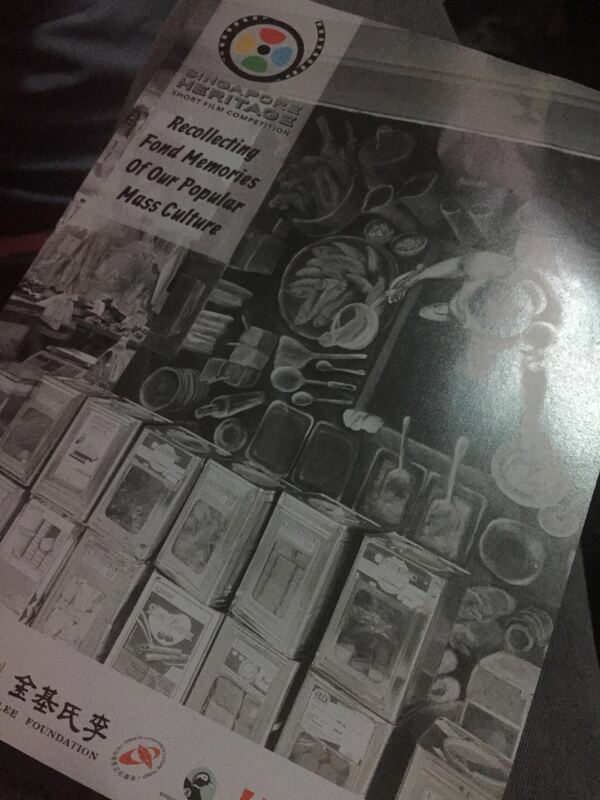 Retrospection is a documentary depicting photography as a popular mass culture. It focuses on capturing photographs to store precious memories from the eyes of two individuals and highlighting experiences from the past.